Offering you a complete choice of products which include cowdung dhoop stick making machine, dhoop stick making machine, incense dhoop stick making machine and incense stick making machine. 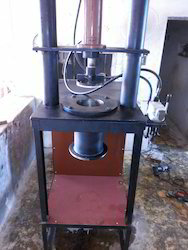 CowDung Dhoop Stick Making Machine is heavy duty rigid structure design. 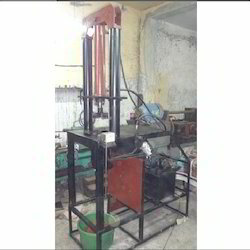 Manual handle level valve operated machine raw material hopper capacity 10kg max. Production-100 to 150kg/8hrs (depends on size & skilled operator). 3phase/ single phase optional. Incense sticks are widely used for performing worship or pooja ceromonies, they are commonly known as agarbatti sticks. These are manufactured by using the basic raw material like wooden sticks, glue, charcoal powder, paint for end of sticks, and important one fragrance oils / perfumes. Our designed agarbathi sticks making machines provides the perfect incense stick, with fine finish. 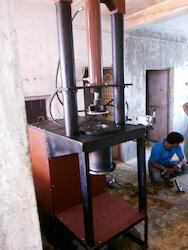 We are a trustworthy organisation in offering a wide gamut of Incense Stick Making Machine. 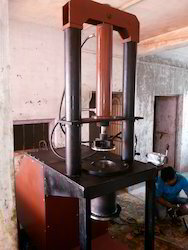 Looking for Dhoop Stick Making Machine ?